Rumors of a November 18th launch date have been floating around over the last few days and today, Verizon made it official. The Droid Pro will go on-sale in stores on November 18th for $179 after $100 mail-in-rebate on a new 2-year contract. If you can’t wait until the 18th, you can grab the device online starting November 9th which means you’ll have your phone well before the in-store crowd. Full retail should still run around $479 which is a steal in my mind. BASKING RIDGE, N.J., and LIBERTYVILLE, Ill. – Verizon Wireless, the company with the nation’s largest and most reliable wireless 3G network, and Motorola, Inc. (NYSE: MOT), today announced that DROID PRO, the first Android™-based smartphone optimized for business use, will be available as a pre-sale order at select Verizon Wireless Communications Stores and online at www.verizonwireless.com starting Nov. 9 and for purchase in stores starting Nov. 18. 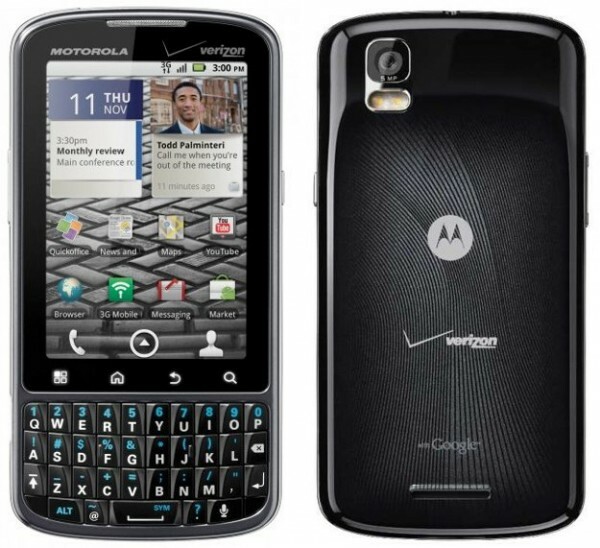 The DROID PRO will be available for $179.99 after a $100 mail-in rebate with a new two-year customer agreement.